There has been a huge push lately for companies to go organic, biosphenol-A free and lead free. Parents are now looking for products that are recyclable, made from safe materials and free of chemicals that may cause future health issues. Since starting this site 3 years ago, I have covered many great green products for kids and babies. 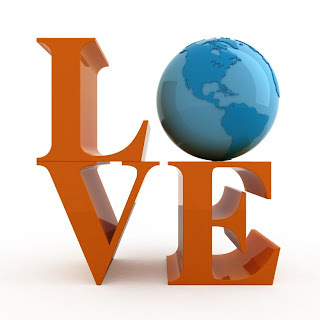 There are some that I liked and many that I loved. 1. Orbit Green Edition Stroller – The orbit stroller is one of the hottest strollers on the market and it just got better after the company released an ivory ‘green edition’. What I love about this product is that the company took extra steps to make this product as environmentally friendly as possible. 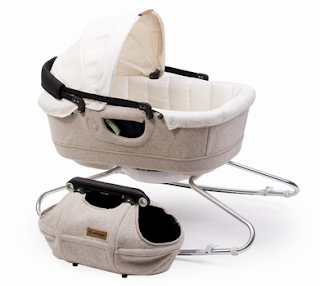 The interior is lined with 100% organic cotton, it has a durable wool exterior and it is free of PVC and phthlates. Orbit products are designed for best-in-industry disassembly, so that the individual pieces can be easily recycled. 2. Natural Mat Organic Mattresses – Because the average baby sleeps 16 hours a day, Natural mat created a safe place for them to rest. Their mattresses are 100% organic, Non-allergenic and anti-dust mite, Naturally Fire Retardant and handmade. All of their raw materials come from 100% renewable and sustainable sources that comply with Fair Trade policies and all packaging used for Natural Mat mattresses is 100% biodegradable and 100% recyclable. 3. 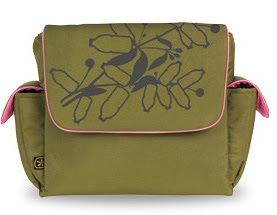 Fleurville’s Re-run Fabric Diaper Bags – Ever wonder where all of the empty water bottles go? Modern baby company, Fleurville uses them in their new fabric called Re-Run™. Each Re-Run™ Messenger bag they make keeps ten (10) 600ml plastic water bottles out of landfill. The micropod, which was designed to hold a few baby products for quick trips keeps three (3) 600ml plastic water bottles out of the landfill. 4. Plan Toys – Plan toys is the ultimate green toy company. Since 1981 they have been using replenishable rubberwood which is preservative free and processed naturally. No harmful additives or coloring are used and all paints are tested for safety. Over the years they have fine tuned their green initiative by introducing recycled paper and using soy ink for printing materials. Our family loves plan toys because they are innovative, help with our sons development and are reasonably priced. 5. 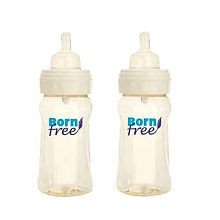 NewBorn Free Bottles – Long before anyone was talking about the hormone disrupting chemical Biosphenol-A, Born free was making baby bottles without it. This company has been working to get the word out about for the last 4 years and finally the world is listening. 6. California Baby – If you are looking for a great product to use on your child’s skin, California Baby is worth a look. On top of using all natural ingredients in all of their shampoos, body washes and lotions, this eco-friendly company prints on recycled paper and uses soy inks for product info tags and literature and bottles their product in HDPE #2 bottles, the easiest plastic for consumers to recycle. I love the way all of the products smell and it makes me feel good to know that I don’t have to worry about my son being harmed by synthetic fragrances or phthalates. 7. ImagiPLAY – All of ImagiPLAY’s toys are made from eco-friendly materials, with plantain-grown rubberwood being a favorite. This wood is an eco-toymaker favorite because it is a splinter-free hardwood. Everything they produce is made from renewable, sustainable materials. 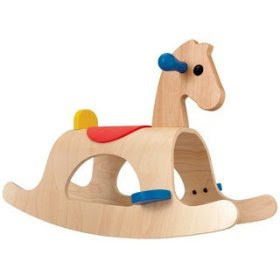 Because most wooden toys distributed in North America are made from Pine and made in China. The raw Pine is primarily produced in Canada, shipped to China where the toy is produced then shipped back to North America as a finished product! Seeing this as waste of resources, ImagiPLAY selects factories that are close to their raw materials to avoid this needless expenditure of gas, oil and greenhouse gases. All of this and a challenging product for your developing child? 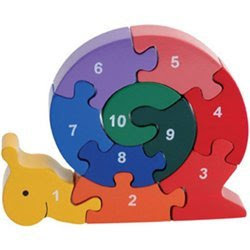 ImagiPLAY makes the COOLEST puzzles you will ever find. 8. Green Toys – This new company impressed me at this years Toy Fair. They had a modest booth, but lots of passion about the environment. 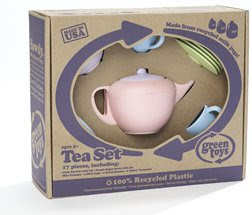 To create their bold and colorful toys, Green Toys uses recycled milk containers as the main ingredient. All of their products are packaged in recycled corrugated boxes with no plastics, cellophane or twist-ties, and are 100% recyclable. So, not only are they earth-friendly and ready for your recycling bin, it won’t take you an hour to break into a toy while your toddler stands waiting patiently. 9. Cleanwell – Cleanwell hand sanitizer is a must for any green parent. This product kills 99.99% of germs on contact MRSA, E.Coli and Salmonella. It is 100% green, safe for kids and free of Triclosan. This product is 100% biodegradable, which means that it breaks down quickly and completely without upsetting the natural balance of the ecosystem. Go Green One Small Step At A Time! Mama Rock Lays Down The Law! Child Style ~ Elephants For Play & In The Nursery!